One of you just sent me some very useful links which thanks to the WaybackMachine at Internet Archive I can now share again with you all. This moving appreciation was written by Tamara Warren about James Stinson for Detroit Free Press. They also ran a second smaller piece of quotes from associates which I’ve included as well. I think it’s good to archive this stuff when it surfaces and to remember as well, almost 10 years now. I also noticed that at the time the family suggested donations to the American Heart Association and I have now included their link permanetly in the side bar. James Marcel Stinson was an intensely private figure in the Detroit techno scene, but he was revered by electronic music fans in his hometown and around the world for his musical foresight and vivid imagination -- though most of them didn't even know who he was. Mr. Stinson, 32, who grew up on Detroit's east side and graduated from Kettering in 1989, died Sept. 3 of heart complications in Newnan, Georgia, where he had moved earlier this year. He would have turned 33 Saturday. Drexciya, the group he belonged to, was so secretive, its records didn't reveal the names of its players. Its members gave only a handful of interviews over a 10-year career, and even Mr. Stinson's mother didn't know how well-received his work was. Nonetheless, the group's aquatic-themed music -- which featured lush, analog synthesizers offset by cold, crisp beats and metallic textures -- was hailed in techno circles for its experimental vision. It also was credited with helping initiate the current revival of an electronic subgenre known as electro. By day, Mr. Stinson was a truck driver and the father of seven children. His mother, Helen Stinson, knew that he made music in her basement for many years but Stinson downplayed his success. "There's so many people telling me things about my child," Helen Stinson said. "You had to pull his teeth to find out what was going on. That's how he was. When he wanted you to know, you found out." Mike Banks, one of Detroit's best-known electronic music producers, said Mr. Stinson was a close friend, and that his love of electro was inspirational. 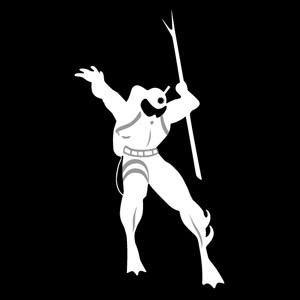 "Now there's a whole resurgence of electro, and he was the life force of it," said Banks, who heads the label Underground Resistance, for which Drexciya recorded much of its work. "He had a fascination with the ocean, and aquatic things, and African-American history and the voyage African people had to make. He was fascinated with the strength and endurance you have to have to make a voyage." Banks said Mr. Stinson's best feature was "that 'good enough' wasn't enough. He always pushed the envelope. Even at UR, where pushing the envelope is the norm, he pushed it harder than any artist on the label. He would expect us to keep living on the edge." 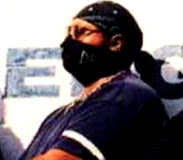 Detroit-based producer Dennis Richardson was affiliated with Drexciya, and said Mr. Stinson was "ultra low-key." "You see him on the street, he's an everyday guy," Richardson said. "You get him in the music studio and he's a maestro." In addition to his mother, survivors include his father, James Allen Stinson; wife, Andrea Clementson Stinson; children, Chantell, Martiz, Bobbie IV, James Jr., Bobbie V, Kayanne and Kannada, and a brother. A memorial service will be held at 3 p.m. Saturday at the James H. Cole Funeral Home, 2624 W. Grand Blvd., Detroit.